When you hire a DJ, you are only paying one person for all your musical entertainment. This is largely due to most DJs being far more affordable on their own compared to live bands. 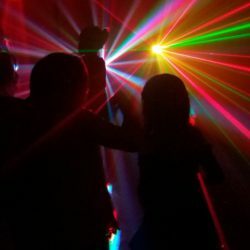 It does not matter wherever you live in South Africa; you can find a DJ who meets your budget because top service providers like http://localdj.co.za/ offer different types of packages to meet the varying requirements for your needs. For instance our packages such as standard, ultimate, sound and kids are all tailored to different age groups and requirements. The cost and services provided are clearly expressed in our packages section and based on these details; you can choose the one that suits you best. Experienced professional DJs are skilled enough to understand the psychology of the guests and they play the best music to keep everyone out on the dance floor. All these aspects make their services more flexible and effective. Experienced professionals also work as emcees and make announcements for party upon the arrival of the guests. You can also find DJs offering toasts and narrating slide show presentations if required to make the event more colorful and entertaining. We offer a high-end experience incorporating a visual dimension to the live performance using lasers, smoke machines, disco balls and LED lights. DJs always take special requests from the guests to make the event more lively and interactive. Any type of music can played at the click of a button, something that’s hard to find with even the most skilled musicians. Bands cannot take breaks like DJs can. Even when a disc jockey takes a break, the music is not interrupted and the entertainment goes on and on. Another significant aspect is that these professionals do not confine their services to playing a limited number of songs. They come fully prepared with detailed music catalogues and you can also give them special requests ahead of the event so that they can easily add them into the playlist. Best professionals arrive with backup systems that are ready to eliminate unwanted interruptions. You can enjoy great peace of mind when you hire experienced DJs as they take care of all the responsibility of playing your music. When the entertainment aspect is taken care of with utmost accountability, you can focus on other important areas to make the function a grand success. Best professionals mix tracks live and seamlessly to offer an unbelievable experience for the guests and keep coming them coming back for more with a careful selection of songs and music. When you take into consideration all these aspects, you can easily come to the conclusion that hiring professional DJs is the best way of making a wedding function exciting and entertaining. Are You Worried That Music Is Not Live? This is often a concern when choosing a DJ over a professional musician. Sure, nothing can beat live music after all we as DJs are just playing copied versions of this. However, live music played at a level is expensive and hard to come by. You also are limited by the skill of the musician and the genre that they have pursued. Although this is perfect for a rock concert or jazz lounge evening where every everyone sees eye to eye on the music they like, parties with different age groups and different tastes can be hard to accommodate. So instead of forking out thousands of rands on a musician who specializes in one genre, choose a skilled DJ who can everyone’s favorite all night long.